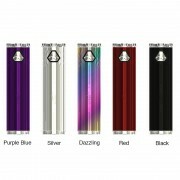 Eleaf iStick Mix The ELLO POP Kit consists of the Eleaf iStick Mix MOD and ELLO POP Atomizer. Compact and stylish, it has 6 interchangeable panels that allow us to design the look and feel that we want. 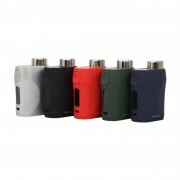 Powered by dual 18650 batteries, plus advanced chips, it has a maximum output of 160W and comes with a variety of security measures. The 6.5ml ELLO POP Atomizer comes with two mesh coils. 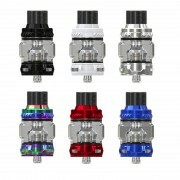 Innovative LPSC technology not only extends the life of the coils, but also provides better atomization and taste. 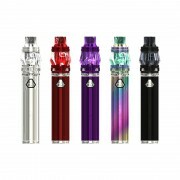 ❤ Please read the user manual carefully before using this Eleaf iStick Mix Kit 160W with Ello Pop Tank 6.5ml. 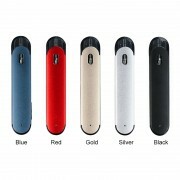 ☞ 6 months warranty period for Eleaf iStick Mix Kit.